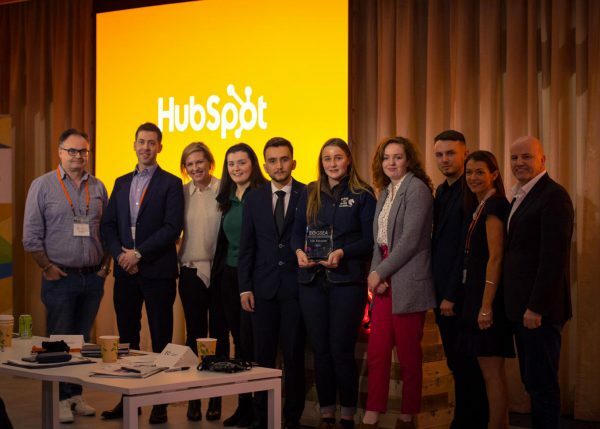 Acorn Regulatory’s Managing Director Dr. Gemma Robinson was a member of the 2019 judging panel for the Irish finals of the Global Student Entrepreneur Awards (GSEA) held last week at the offices of global tech giant Hubspot in Dublin. The Global Student Entrepreneur Award (GSEA) is a global competition for students who own and operate a business while attending college or university. Nominees compete against their peers from around the world in a series of local and/or national competitions in hopes to qualify for GSEA Finals. Founded in 1998 by Saint Louis University, GSEA is now an Entrepreneurs’ Organization program. Dr. Robinson is an active member of the Irish EO chapter. Kate Madden from Fenu Health. The 2019 winner was Kate Madden from Fenu Health. For more information about GSEA 2019 and previous years please visit here. For more information about EO Ireland please visit here. For more information about Dr. Gemma Robinson please visit here.